How do you optimize your blog for search engines? That is one common question I often hear. This SEO how to is from experience, and what you read here are my best practices. 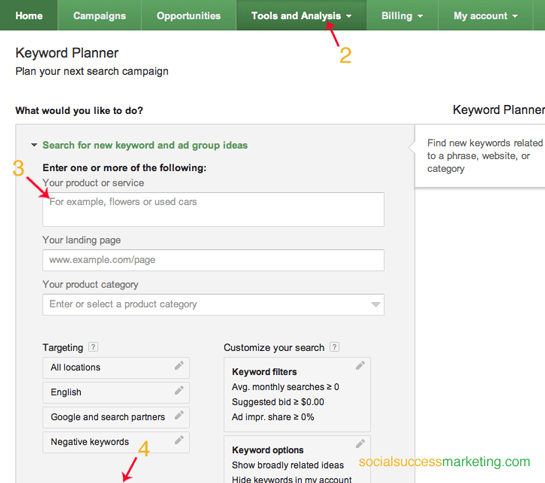 When optimizing a blog with keywords, it involves two steps: keywords research and keywords placement. This blog will tackle the first step, and next blog is up will be about the second step. It is my rule of thumb to optimize every blog that I write with keywords that are relevant to search engines and to my readers’ intent. I always aim to write for both. There are times, however, when optimizing a blog wouldn’t flow naturally in a sentence or the thought that I am trying to convey. What do I do at that point? I ditch optimization and focus on the readers. Search engine optimization (SEO) is the process of affecting the visibility of a website or a web page in a search engine‘s “natural” or un-paid (“organic“) search results. You want people to find your business website, right? Then if you do, content optimization is one of the tactical strategies that you can do to boost online visibility of your website. Also when you optimize your blog, you help the search engines determine what you are writing about. It is like creating a theme for your content. The search engines will index that theme as the topic for your blog. Then, when your target audience searches for a topic similar to your blog, the search engines can show your blog in the search engine results page (a.k.a. SERP). It is easy for search engines to determine what you are writing about. It is easy for your target audience to find it. Where do I find these keywords to optimize my blogs? Research. Carve out a time to do this. Where do I research for keywords? Google Analytics. This is the primary tool that I use. It is free! Google’s Autocomplete. The suggestions are results from real searches. You can read Search Engine Land’s blog if you want to know more on how to leverage it for keywords research. Other sources for keywords are Google Trends, and more. Sign in to access the Keyword Planner in Google Adwords with your gmail account. Select “Tools and Analysis” tab. Type the words for your niche products and services. Click the blue “Get Ideas” button. 6. Click “Avg. monthly searches” to arrange it in ascending or descending order. 8. Click the monthly searches icon. 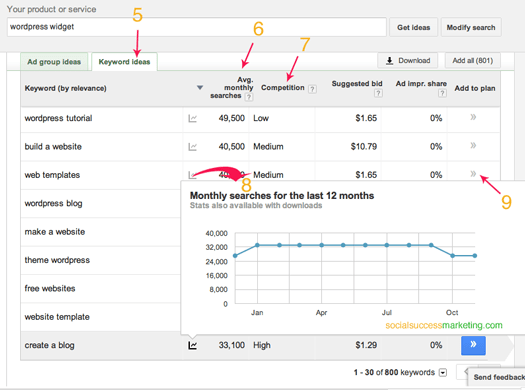 That will show you whether the monthly searches of your desired keywords are either going up or going down. 9. Click the double caret pointing right to add desired keywords to your list. You have an option to download the keywords that you have selected later. Now, you have a set of keywords to use for your blog. How do you use it? How do you find keywords for your content? Your turn! Should you need advise or assistance about keywords and optimized content, please let me know.